Trilobite. Unresearched species. 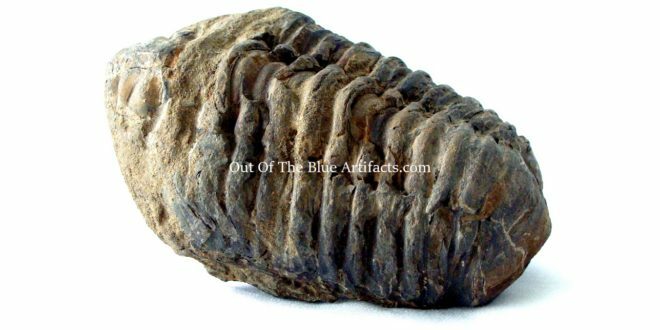 Trilobites were similar to the modern day Wood Louse only sea dwellers. They came in many different sizes ranging from 1″ inch to around 1 metre in length. 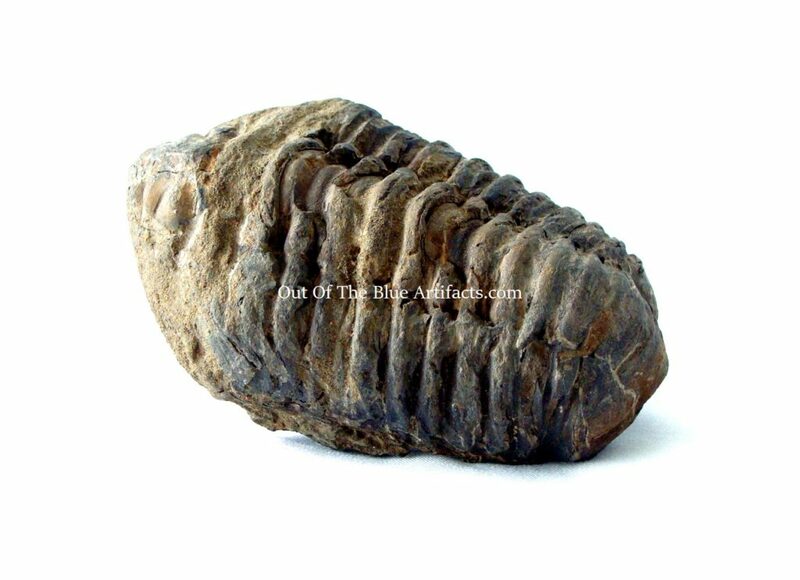 Fossil size 3 1/2″ x 2 1/2″ x 1 1/2″ inches. Trilobites had compound eyes, each, a unit comprising many lenses made from Calcite Crystal, developed through many millions of years. Early species a sub order Agnostida from the early Cambrian Period 520 million years ago were eye-less. The Trilobites ranged from the late Cambrian Period – 500 million years ago to the late Devonian Period – 380 million years. This fossil has had repairs done to the head section.